Patient (.iplan6) and plaque (.iplq6) files created by Plaque Simulator are actually Unix packages (folders disguised as files) that contain many embedded files including pictures of the plaques, CT, ultrasound and fundus images, patient IDs, custom icons and so on. The embedded images are saved in .png file format. With the introduction of MacOS 10.13 (High Sierra), Apple changed the way that .png file gamma metadata is interpreted compared to earlier versions of the OS to be more consistent with other OSes. When PS6 (and other MacOS apps) open .png files exported by versions of MacOS prior to High Sierra, these images may appear "washed out" or excessively bright. The fix is to remove the now obsolete gamma metadata from these embedded .png files before opening the PS6 packages. 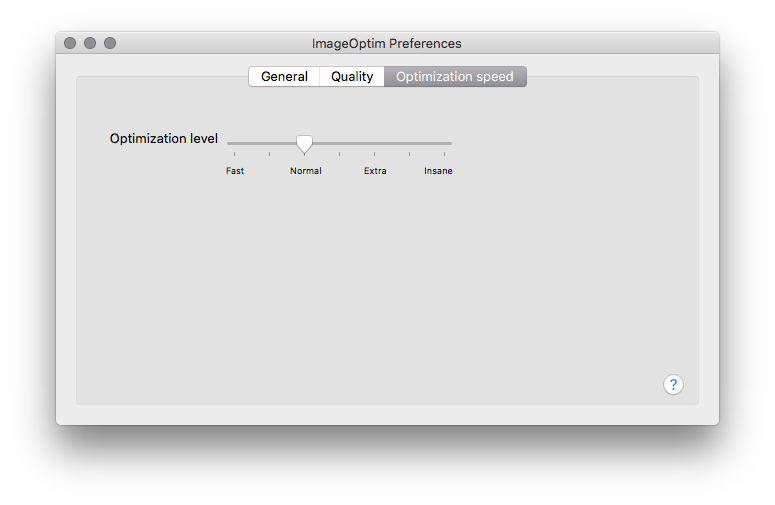 If you have updated to MacOS 10.13 and are experiencing this issue, please download the ImageOptim application, expand and install the app, launch it, configure its preferences as illustrated below, and then drag and drop any affected patient (.iplan6) or plaque (.iplq6) files onto the ImageOptim.app window. The gamma metadata will be removed from all the embedded .png images and picture brightness should appear as intended when the file is subsequently reopened in PS6. 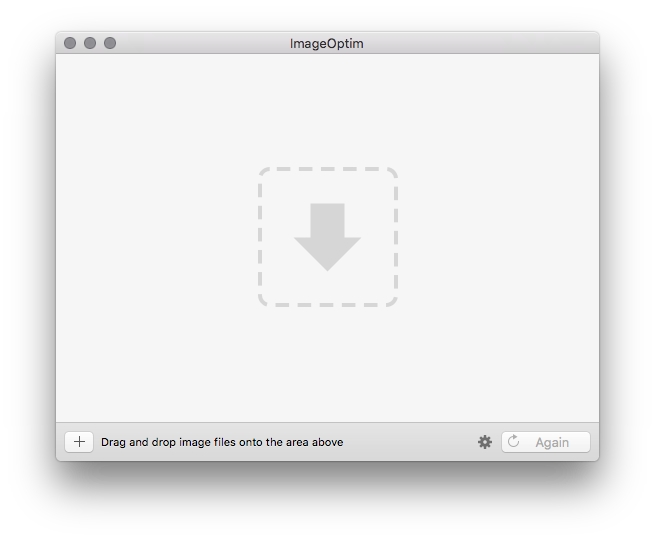 Download the ImageOptim.app from the developer or from here. The file will most likely appear in your MacOS Downloads folder. Double-click the compressed file (e.g. .zip or .tbz2) to expand it. 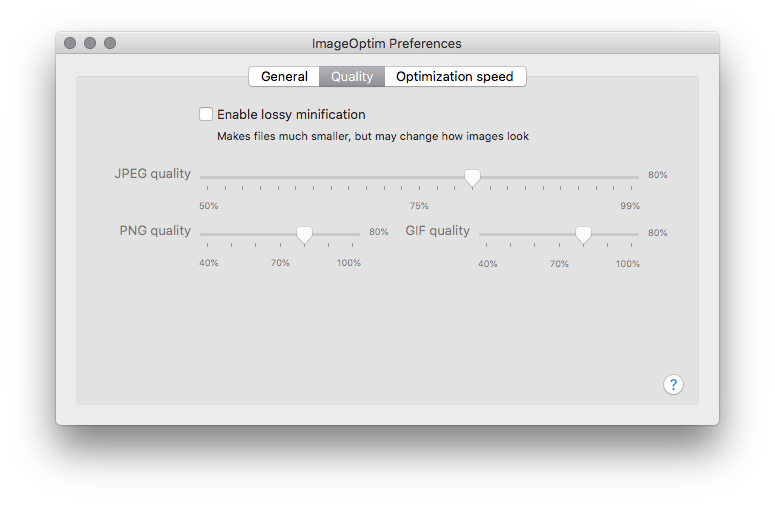 Drag the now expanded ImageOptim.app to your applications folder (and optionally from the applications folder onto your MacOS dock for easy access). 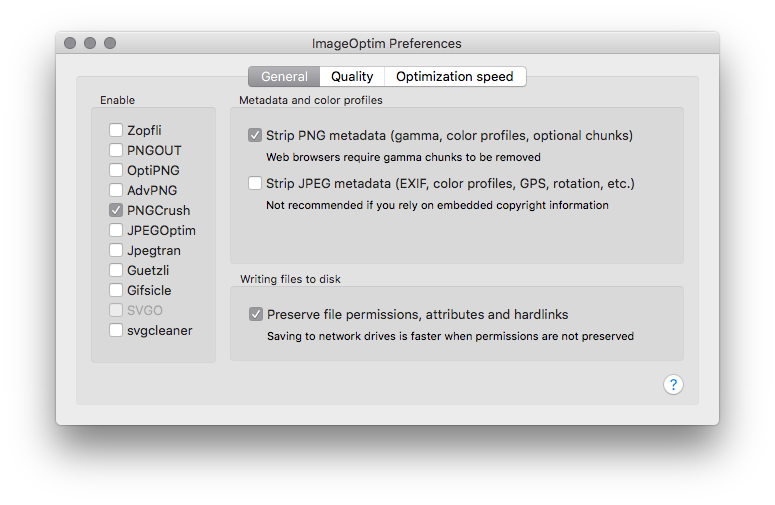 After configuring the app preferences, simply drag the PS6 .iplan6 and.or .iplq6 files onto the app and wait a short time for the filter to remove the gamma metadata from all the images embedded in the files. You can then open these repaired files with PS6 and the picture brightness should appear as originally intended. In the Enable group, disable all filters except for PNGCrush. In the Metadata and color profiles group, enable only Strip PNG metadata. In the Writing files to disk group, enable the Preserve file permissions... option. Set the speed to normal.